Players assume control of either Momohime, a princess that is possessed by an evil swordsman, or Kisuke, a ninja that has lost his memory. While both characters play the same, are after the same item (the powerful and deadly Demon Blades), and will face the same enemies along the way, their stories unfold in different ways with different twists and turns. There are also multiple endings to achieve with each character that are dependant upon the choices you make and the weapons you go after along the way, so it’s possible to play through the game multiple times with just one character. As for how the game itself plays, Muramasa builds upon the same attack mechanics and combos of Vanillaware’s previous release, Odin Sphere for the PS2. 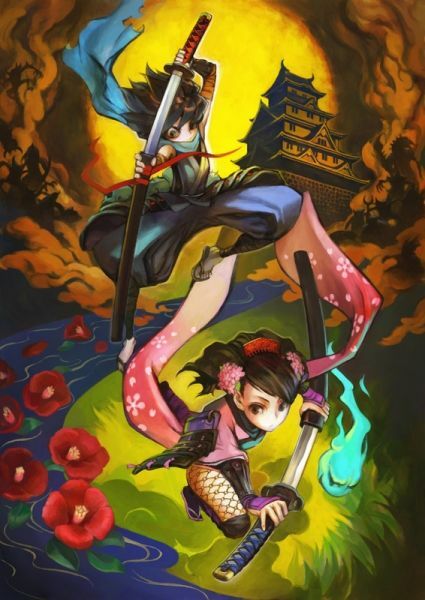 Players control Momohime or Kisuke using the directional joystick on the Nunchuck and attack using the buttons on the Wii Remote. While it is possible to just mash the attack button and hack your way through enemies, there are far more moves and combos that you can pull off without having to memorize complex commands or button sequences. In fact, at times, the game can feel a little bit more like playing a fighting game than a hack-n-slash title. Crouching and hitting the attack button executes a low attack that hits enemies on the ground; pressing up on the joystick executes a jump; and parrying enemy attacks too often will cause your sword to break, leaving you vulnerable until you swap swords. So yes, you could play through the entire game, mashing the attack button as you go, but you’d be missing out on a lot of the experience. 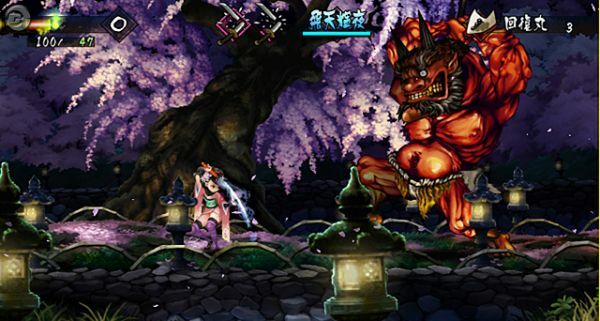 Vanillaware’s games may not be as widespread or well known as the latest Splinter Cell or Halo game, every single game they develop has as much care, thought, and effort placed into them as a AAA title, and Muramasa is no exception. From the art style that is reminiscent of the traditional Japanese wood block paintings, to the intuitive, yet complex, combat system, Wii owners should definitely consider picking this one up. They are also one of the few developers left that develop strictly 2D games, and, what’s more, 2D games that are as beautiful to play as they are to watch. Page created in 0.7730 seconds.